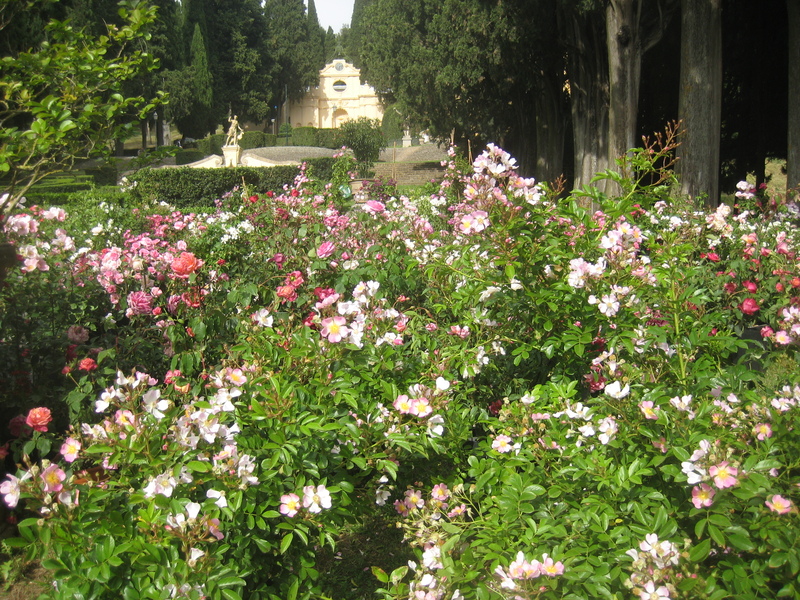 As curator of the show of botanical art at this year’s event “I Giorni delle Rose” at Villa Fidelia, I decided to invite a wonderful colleague and fellow botanical painter Maria Cecilia Freeman –also a fanatic lover of roses! -to show her paintings. 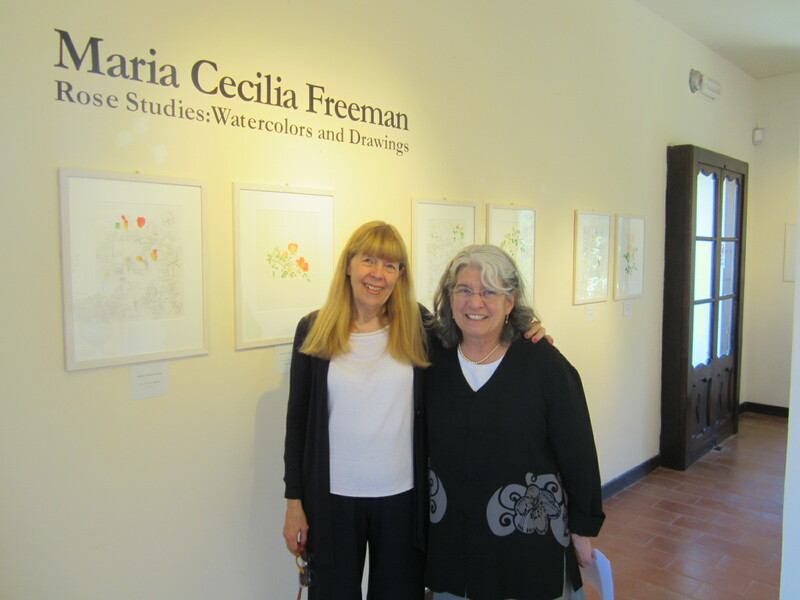 We were all so pleased that she took the long trip from California to share with us her magnificent show “Rose Studies”, which had previously been displayed at the New York Horticultural Society in New York, and the San Francisco Botanical Gardens. Maria Cecilia always makes a double effort to portray the rose she chooses by coupling the artistic watercolor portrait with a scientific graphite study to explain further the botanical details which distinguish her subject of study. The public was particularly fascinated by her paintings of two native california roses : Rosa californica ( not well-known in Italy) and the little Rosa spithamea, which like a perfect phoenix, rises from it’s own ashes when burned. This last rose was a real novelty and had all the italian rose breeders and the public lining up to study it !! Thank you Maria Cecilia !